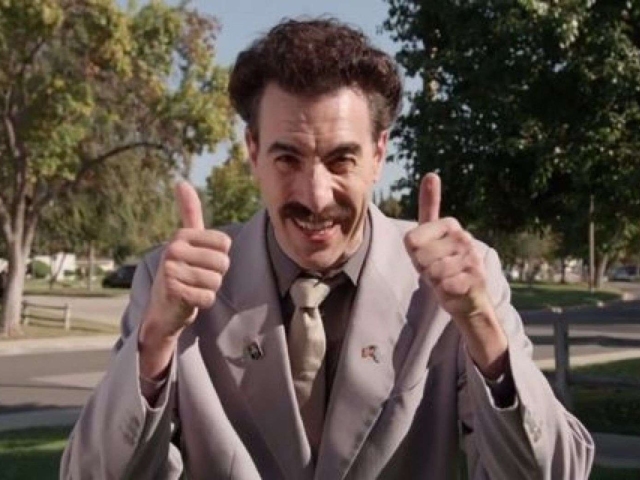 Borat and Kazakhstan will forever be entwined, but that doesn’t mean that law enforcement in the Central Asian country are very fond of the chap. You know people are laughing at you when Borat adds his voice to the chorus of those calling you a racist buffoon. Do your thing, very niiiice. You just can’t keep a good comedian down. Sacha Baron Cohen takes even the most mundane of situations, and finds a means of turning it into comedy. If he isn’t throwing Kim Jong Il’s fake ashes all over Ryan Seacreast – then he’s killing an old lady on stage. 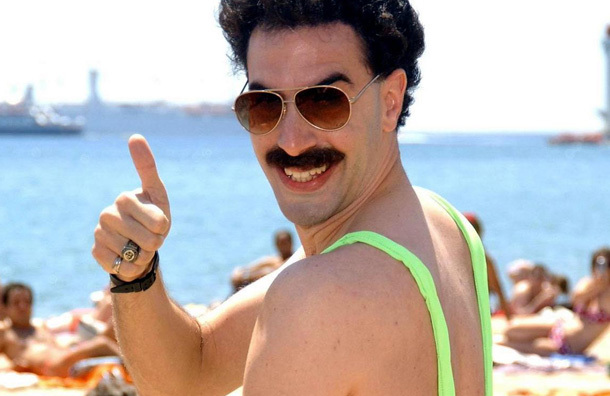 The movie “Borat” didn’t exactly do well in Kazakhstan. 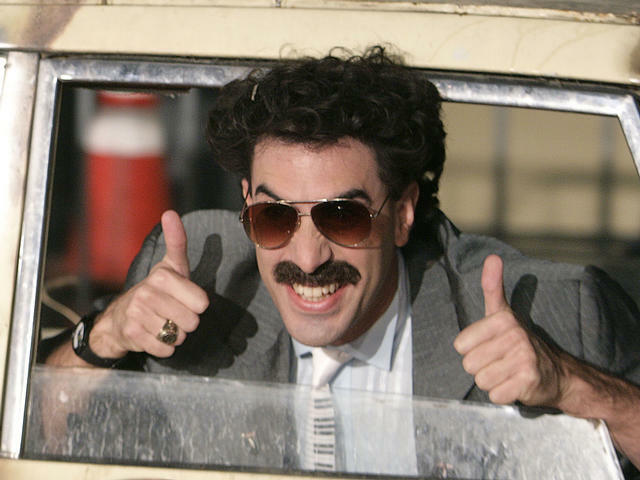 After being banned, it took a full six years to realise the touristic potential of the film, Borat: Cultural Learnings of America for Make Benefit Glorious Nation of Kazakhstan. But, the “glorious nation” has now issued an official thank you to Sacha Baron Cohen. 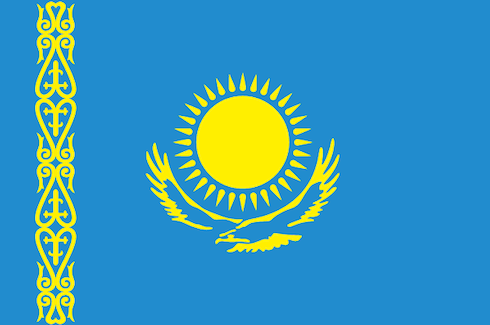 At a recent sporting event in Kuwait, a Kazakh girl won the gold medal. But check out the awkwardness when the Borat parody of the Kazakh national anthem is played during the ceremony! Some weeks earlier, Ricky Martin’s “Livin’ la Vida Loca” was also played instead of the country’s anthem at another sporting event. Both incredible moments can be seen after the jump. ‘Mankini’ Is In The Oxford English Dictionary Now. We all want to be living legends. Like our boss, Seth. But this guy is very close to actually being one as well. 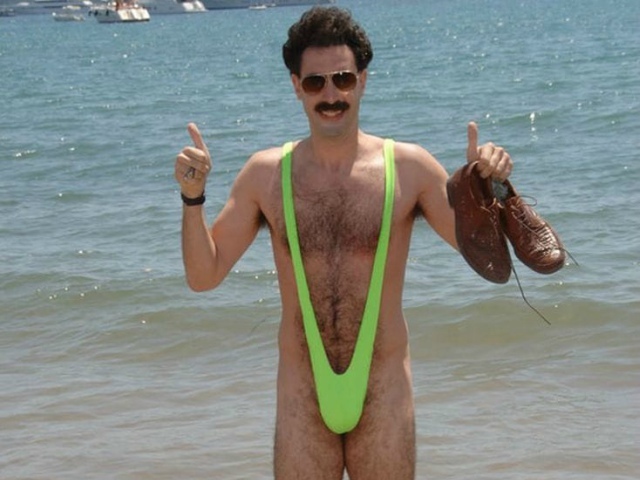 He completed this years Argus Cycle Tour wearing only a Borat Mankini, a pair of sneakers, and his safety helmet. All on a BMX.